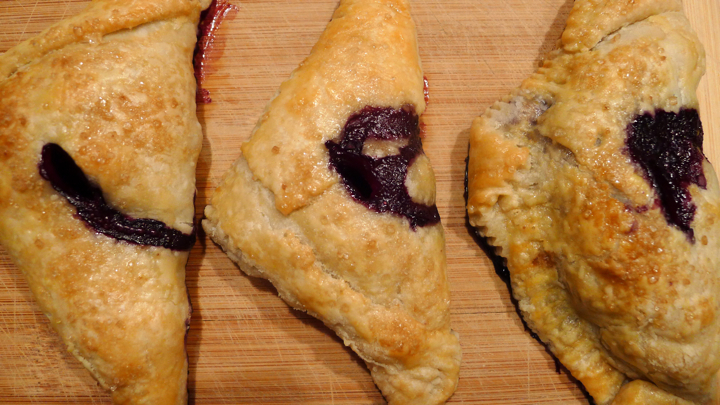 Who doesn’t love a perfectly sized pie that fits right in your hand? 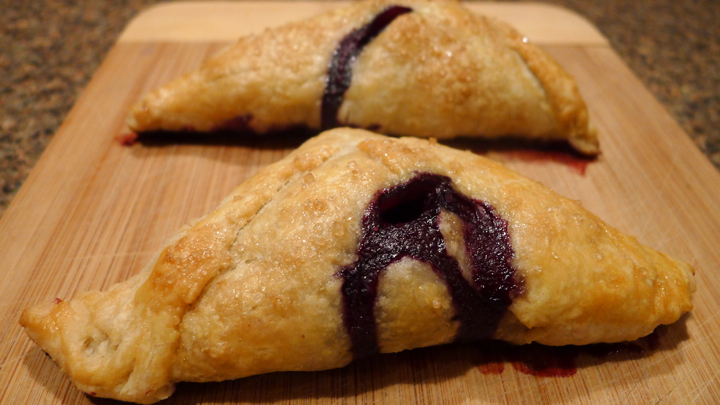 I got some beautiful blueberries in my CSA last week and decided to make some mini hand pies to bring into the office, and to my lovely sister who just had her first baby! She deserves a million pies. It’s been in the 90s here all week so I was lazy and used frozen pie dough that I thawed to cut my kitchen time down a little. 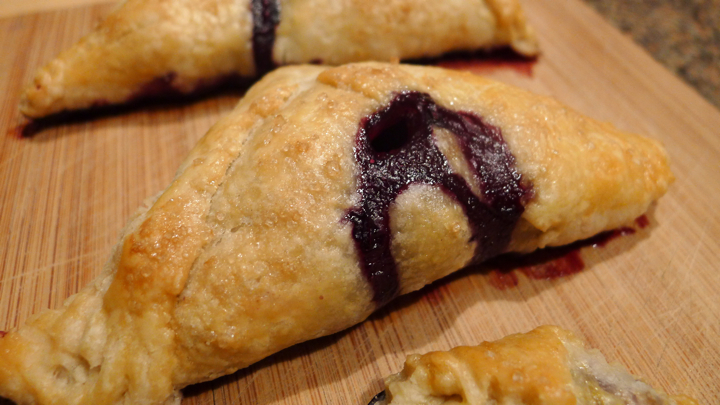 They are very easy to make and absolutely delicious! 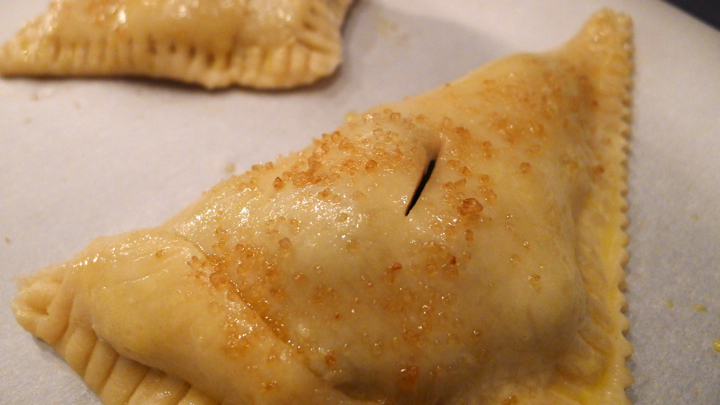 I found that they keep for about 2 days, but not much longer as the crust gets soft from the moisture. 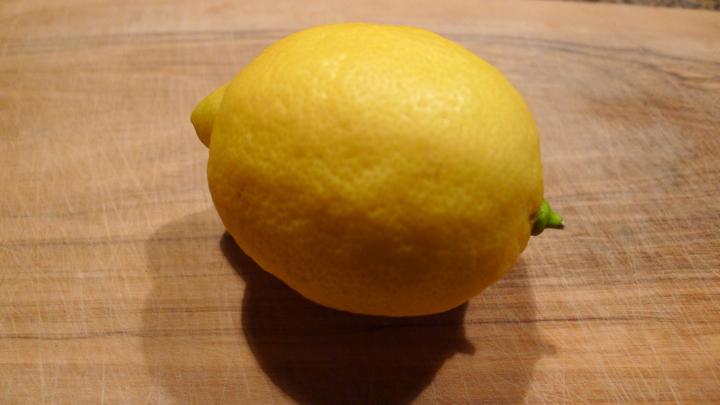 Best to store in an airtight container, but make sure they are completely cool before putting them away. Heat oven to 375 degrees. 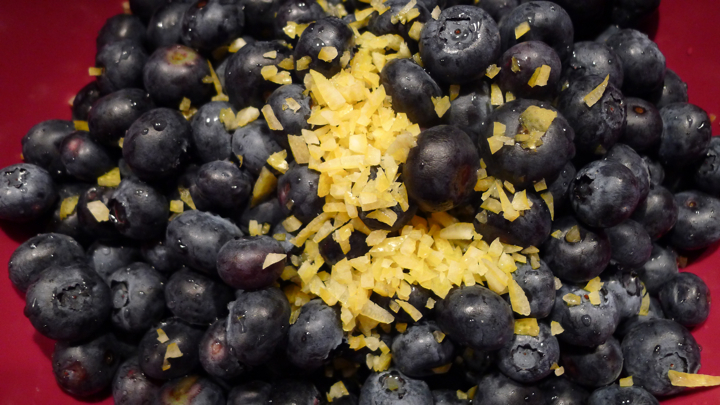 Mix together the blueberries, sugar, salt, lemon zest and lemon juice. 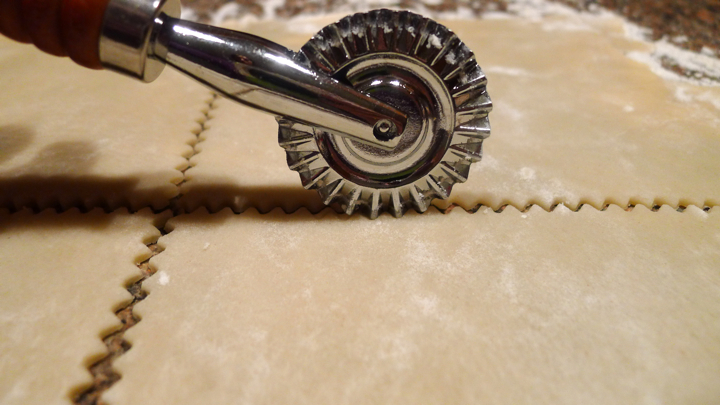 Flour your surface as well as the rolling pin. 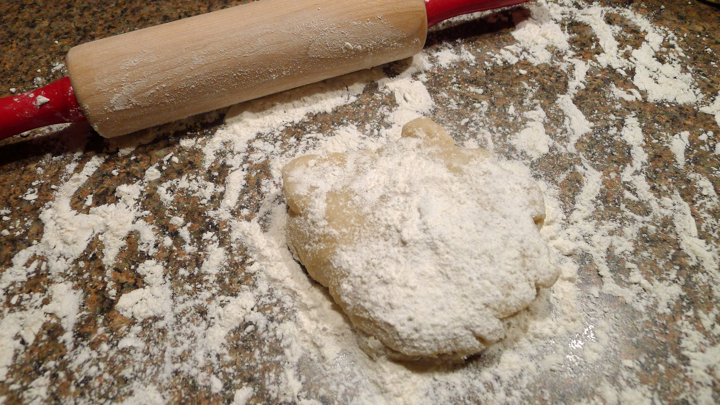 Take your thawed dough and shape it into a ball, sprinkle well with flour. 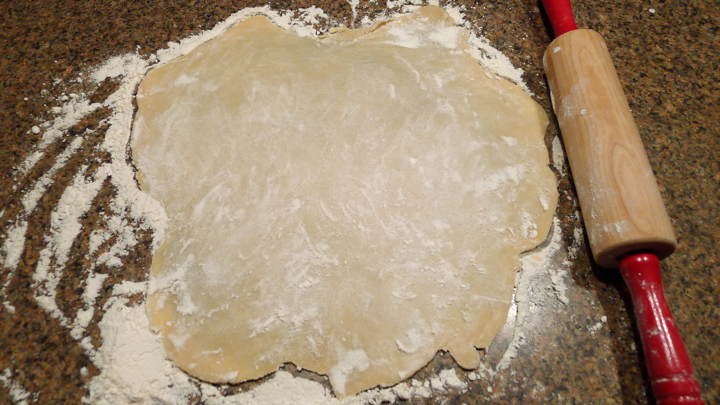 Roll dough into (2) 15×12 inch rectangles (I could only get mine into a square!) 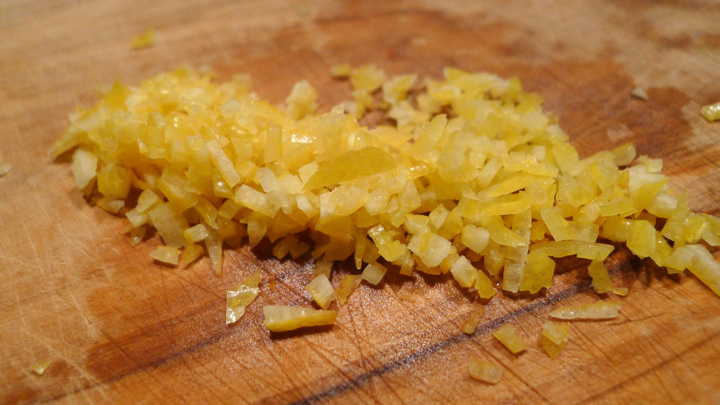 and cut 6 inch smaller rectangles either with a knife or pastry cutter. 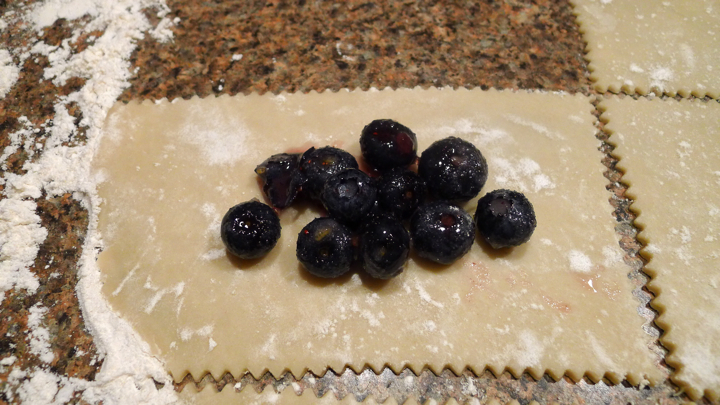 Brush edges of each rectangle with water and scoop about a tablespoon of the blueberry mixture into the center. 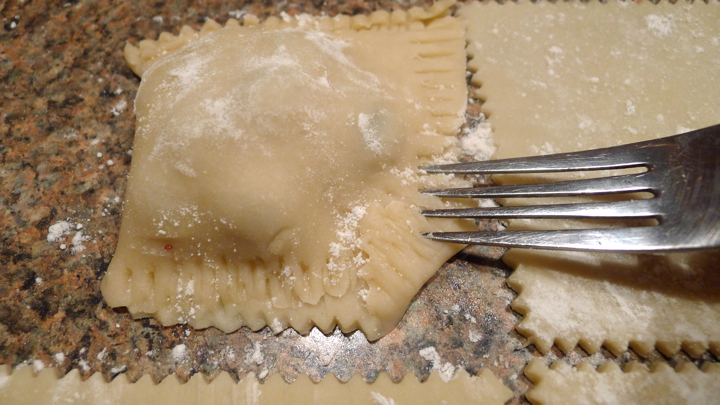 Fold in a diagonal and seal edges with a fork. 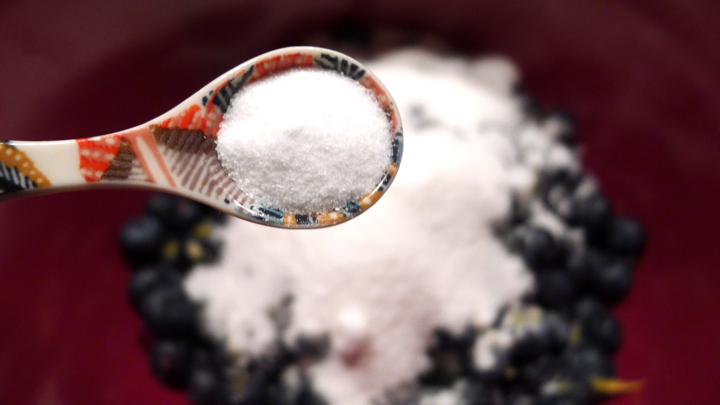 Brush with the egg wash, sprinkle with raw sugar, and slit a hole in the top. 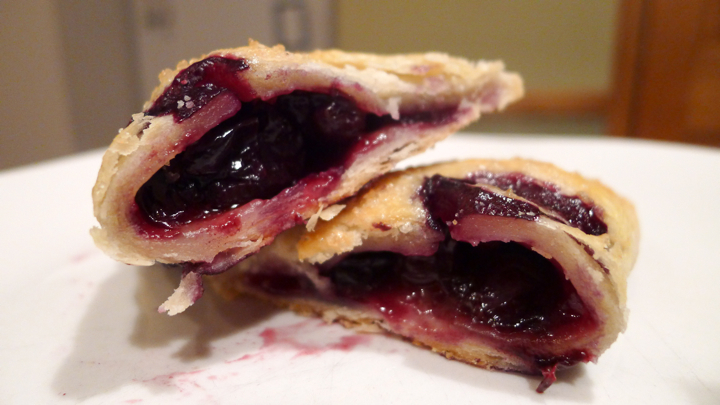 Transfer the pies to a cookie sheet lined with parchment paper. 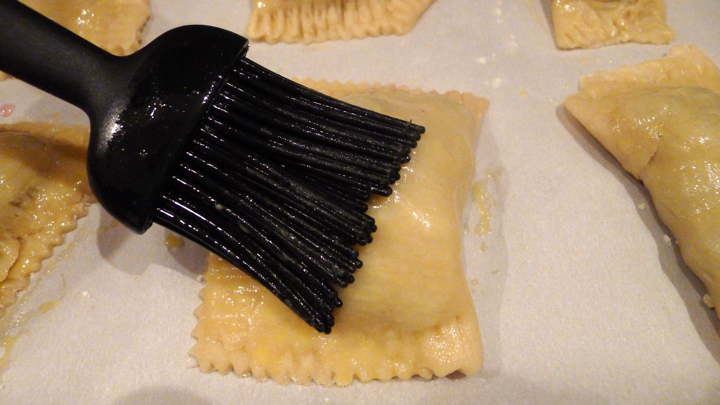 Place in oven for 35-45 minutes until golden brown. 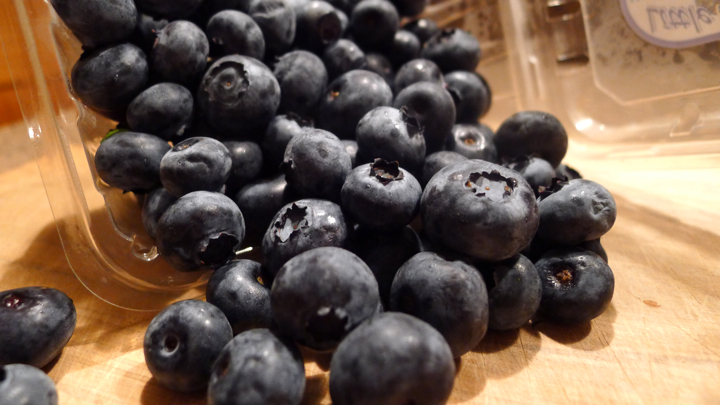 The blueberry juice will leak as it cooks. Once finished, transfer to a wire rack.